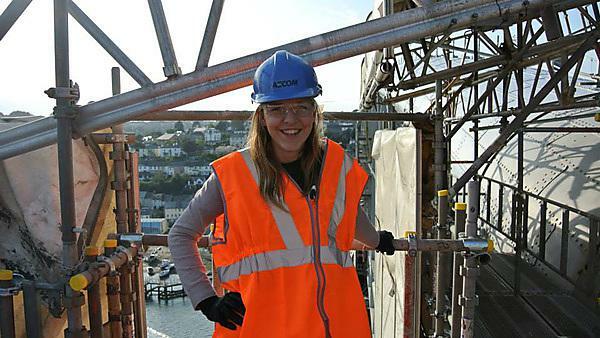 “I really enjoyed my year placement at AECOM. Being able to see how the knowledge I learnt in my first two years at university could be put into practice really inspired me and has encouraged me through my third year. During my placement I was based in two departments. Firstly I spent three months in the rail department, undertaking a project management role in the development of a feasibility study for Elephant and Castle underground station. After this I spent nine months in the transportation structures department, assisting on a number of bridge and structure inspections around London, writing detailed reports for each inspection. The final project I worked on was Lusail Expressways Artscape, where I was part of a team completing the detailed design of cable stayed bridges and other structures. As well as doing calculations for aspects such as cable and deck design, I was trained to use computer software to complete analysis of the structures. I’ve taken aspects of all these projects into my third year at university, whether it is the knowledge I gained on Eurocodes, report writing or structural analysis. The placement has definitely helped me define where I want to go with my Civil Engineering degree, working in the transportation division and working on world-class bridge design projects is definitely something that I want to get in to when I graduate.